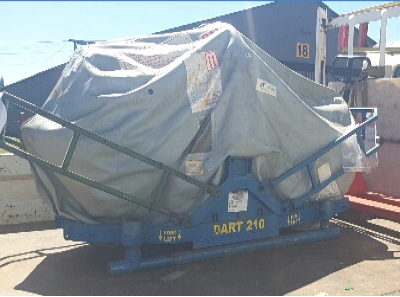 ​The majority of RR Dart engines serviced are air freighted from locations around the world to OR Tambo International Airport (Johannesburg). 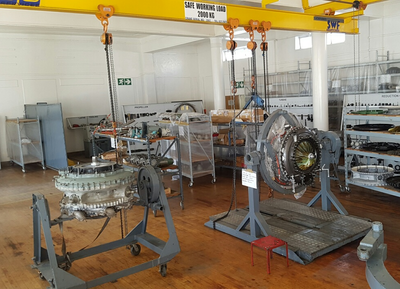 On arrival in OR Tambo the engine is then transported by air ride suspension truck for 30 minutes, via highway, to the Fields Airmotive facility. ​Transport stands are available for loan, if required. 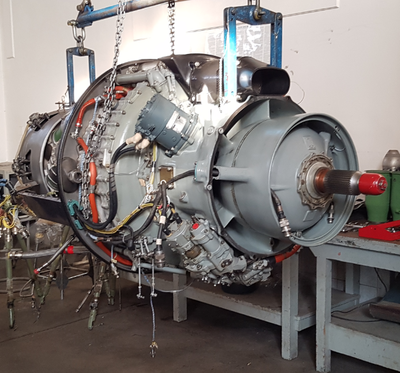 Customers may also fly their aircraft to the Fields Airmotive hangar facility, where the engine will be removed by our staff. 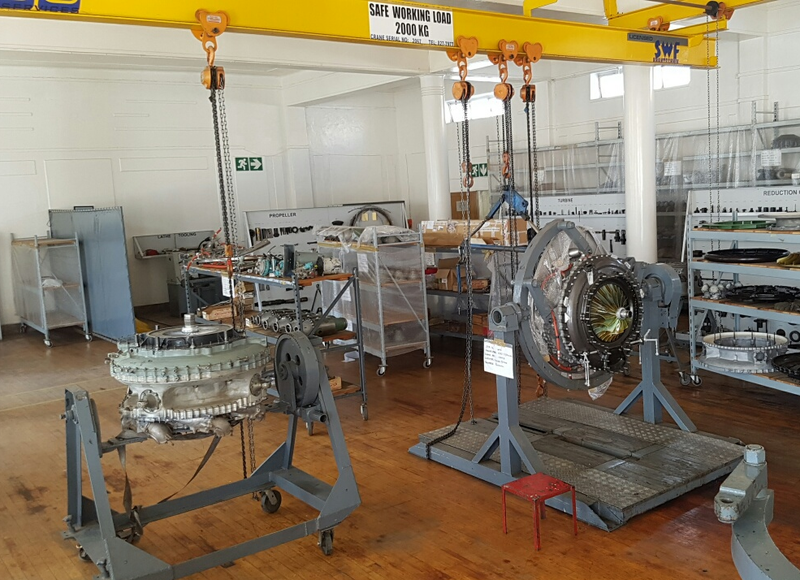 The aircraft will remain enclosed in a hangar at all times, while the engine is undergoing maintenance in the adjacent workshop. 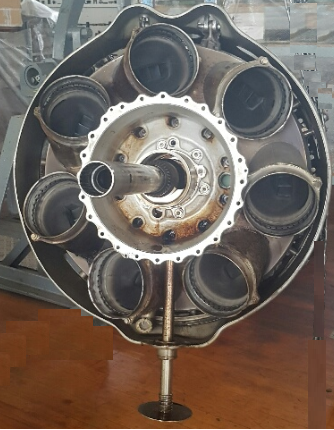 Fields first signed a technical assistance agreement in 1978 with Rolls Royce but South Africa's association with the RR Dart goes back further in time, to the early development days of this iconic engine. 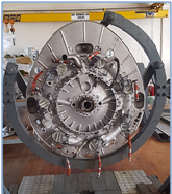 The original RR Dart design team of 1946 was lead by the South African University of Cape Town graduate Lionel Haworth, who was also responsible of RR early jets such as the WR1 and RCA3. 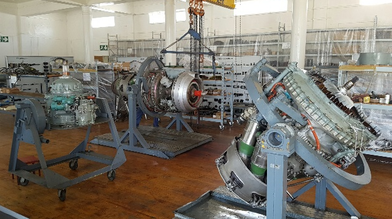 With over 7,100 Dart Engines having being produced, Fields Airmotive is proud to continue this RR Dart South African tradition, as one of the last few remaining RR Dart overhaul shops in the world. The Rolls Royce RB.53 "Dart" is one of the most successful early turboprop engines and was built by Rolls-Royce in the UK. 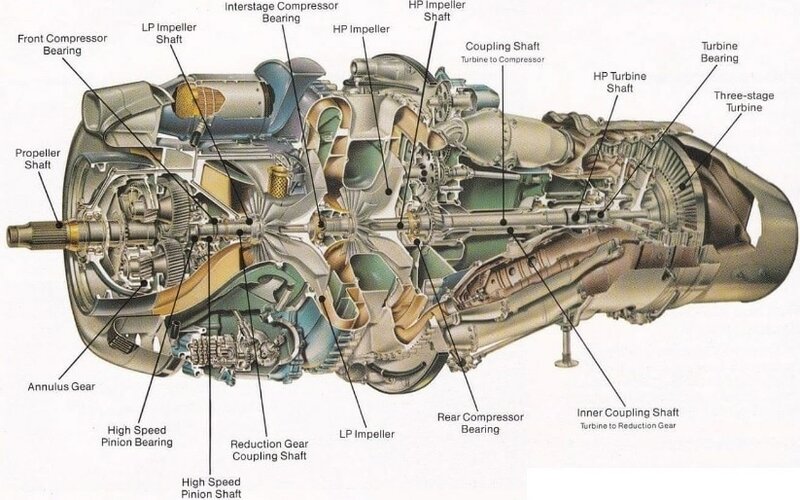 In 1943 Rolls-Royce experimented with a turbine engine driving a propeller. This led to test flights of a RB53 (later named Dart) in a Lancaster bomber in 1947. 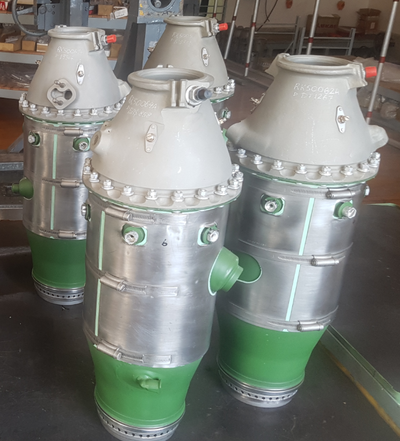 To reduce weight the reduction gearbox was redesigned and the oil tank was made integral with the air intake housing. The engine was chosen to power the Vickers Viscount airliner. 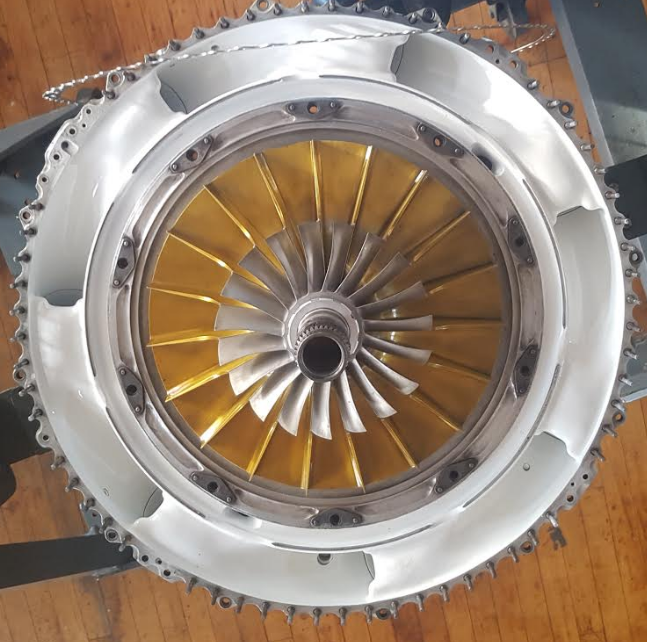 The Viscount’s first flight in 1948 was followed by it being the first turbine-powered airliner in the world when it entered service in 1950.The initial Dart engine in 1946 produced 990 hp. Final versions of the Dart produced over 3,400 horsepower (2535 kW). 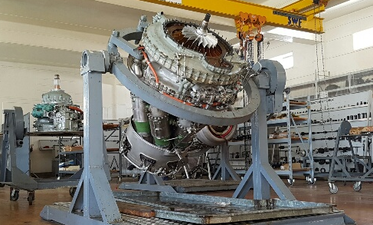 Approximately 7100 engines produced with the main engines marks being the RDa7 & RDa10. In addition to the RB.53 designation, each mark of Dart was allocated a UK Ministry of Supply "RDa.n" number as well as Mk Numbers. The Dart was used on the Vickers Viscount, Armstrong-Whitworth Argosy, Avro 748, Fokker F-27, Handley-Page Dart Herald, Grumman Gulfstream 1 and the NAMC YS-11. 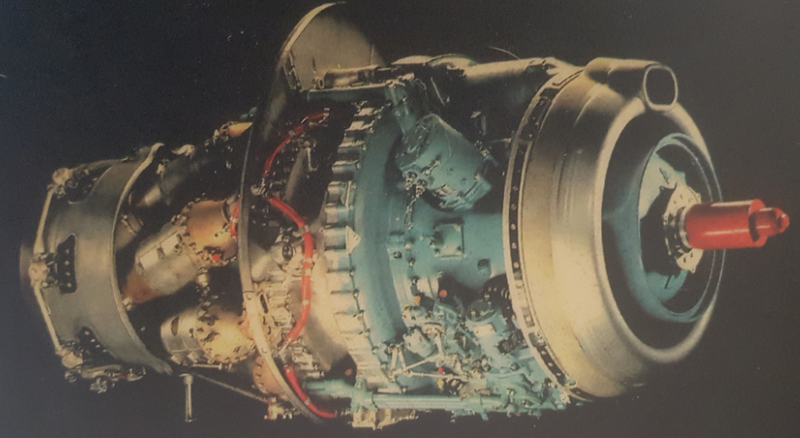 It was also used to convert Convair 440s to turboprop power, being known as the Convair 640.